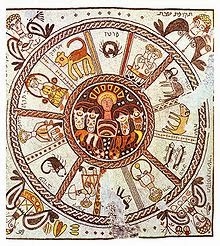 What is true about the story that Hitler used astrology to guide him trough the war (and into defeat)? Louis de Wohl http://astropost.blogspot.nl/2008/03/birth-chart-of-louis-de-wohl-astrologer.html made a living as a spie, telling the British what move was to be expected if Hitler followed the advice of an astrologer. It wasn't Alfred Witte. Alfred Witte was a victim of the Nazi terror. Pisces Astrologer Alfred Witte, the man who introduced the midpoints (a+b)/2 in astrology again, was arrested by the Nazi’s in 1941 and killed himself subsequently. Some of his students ended in concentration camps. The theme of (the danger of) unnatural death is in his chart: Mars conjunct Pluto, sexile Saturn (see the links for more information). On the day of his death transit Saturn was square Venus, Mercury and Moon. Jupiter-Uranus is the astrologer’s combination. Uranus is the focal planet and perhaps Jupiter is opposite MC. I deliberately avoid to use house positions or rulers here, because I wonder if Witte corrected his natal chart so that it would be conjunct fixed star Spica. Robson says that Spica rising means good fortune (more than to be expected) and given Alfred Witte’s tragic end I dare to say that this is wrong. Maybe the 9:12 was also related to that Jupiter on IC…? Hades, Zeus, Kronos, Apollon, Admetos, Vulcanus and Poseidon. Also visit: Astromarkt.net and see the labels. Above is a picture of the page on Kepler's harmonies mundi on Wikipedia. 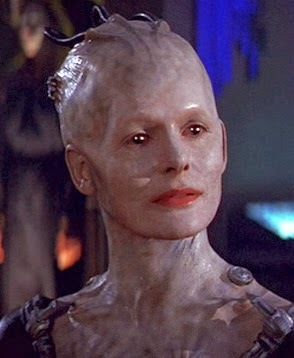 Astrofix once published an impressive list of meanings for Uranus-Neptune, like 'resistance against assimilation' and I had to think of the Borg. Uranus conjunct Neptune in 1821 mirrored the independence of Peru and Mexico and other Latin-American states. Uranus was conjunct Neptune in 1993 and in the chart of the Treaty of Maastricht, the first step to political integration (say assimilation) and the first step towards a political European Union, in spite of the resistance of large minorities. The Borg ('You will be assimilated") in Star Trek are the drones of the collective. Now what if Uranus/Neptune midpoint combinations are in hard aspect with your personal planets, Sun or Moon, or with your Ascendant or Midheaven? Or in variations (like Venus/Uranus-Neptune, Venus-Neptune-Uranus)? I found some examples that I mentioned on Astromarkt. Let's say that you can be a robot in love, influenced by your 'collective' being together with your loved one, when Uranus and Neptune join Venus, but maybe it is the collective concept of beauty that inspires you in your songs or art? This combination makes love blind. French singer Edith Piaf (see Astro.com) had Neptune opposition Venus/Uranus midpoint and in the end she married a young men who inherited all of her money. She had her very own ways in love. Needless to say, that it matters if Uranus or Neptune or Venus is important in a chart and that more signs are needed (not just one aspect or midpoint) to mirror the negative influence of excitement or technology in a chart. or translate the Astromarkt page where you can read (chart included) that on the very day that the Maastricht Treaty (first step to European political unity) was in effect (November 1, 1993) Uranus conjunct Neptune were both inconjunct the Ascendant. 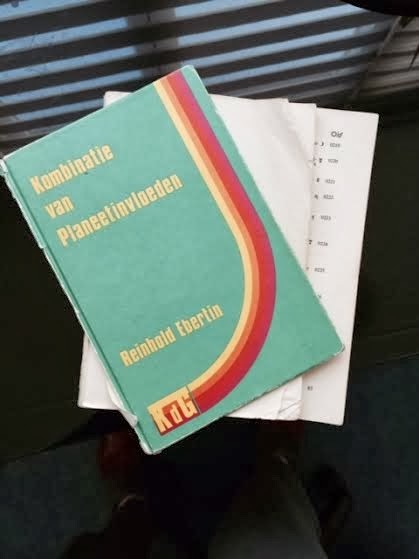 Today is the birthday of Reinhold Ebertin, the author of my favorite astrology book: Combination of Stellar Influences. My Dutch version of the book is already falling apart, as you see above, but I also have a new English one. It doesn't change the fact that COSI is one of the best books if you want to study astrology. There is nothing controversial (politically) in that book, that was translated in 1961 and first appeared in 1960. That happened to be the year that transit Pluto was conjunct his Mars and therefore trine his Jupiter (he had a tight Mars trine Jupiter in the natal chart). That is a combination that he described as a 'brilliant success'! Here is the chart with transits and progressions of 1960. In the natal chart Jupiter is on the Ascendant (conjunct Chiron). The Sun is septile this prominent Jupiter and quintile Uranus. Also, Uranus in Sagittarius is semi square Sun/Jupiter. Jupiter-Uranus combinations (the helicopter view) are almost always seen in the charts of astrologers and those who study astrology. How does a seemingly ordinary mix of aspects correspond with crimes? The hardest major aspect in his chart is Mars square Uranus and there are a few more or less narrow trines and sextile, like Mars sextile Pluto. I think that this aspect allowed him to use his strength and power against his step daughter. It is not that you MUST abuse power with this aspect. It is just that it can. 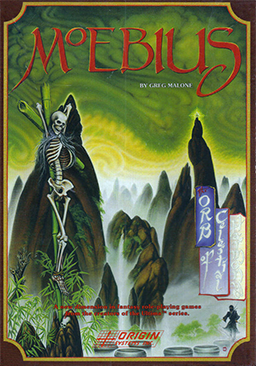 Melvin L. Morse is the author of several works on near death experiences of …children. He also wrote about ritual suffocation. He was born on December 11, 1953 and on that day these were the most significant astrological positions (Astro ID). Of course, without an hour of birth the angular positions and the degrees of Moon, Ascendant, MC and Sun/Moon midpoint remain unknown. Mercury is ‘calling’ (no Ptolemeic aspects in sign or orb 5 degrees), for communication at any kind of level, somehow and anyhow. He is a writer. Saturn rises before the Sun, showing the importance of status, parenthood (and parents) and responsibilities. The prominence of both Mercury and Saturn is the prominence of a combination that is related to science (official knowledge). Mars sextile Pluto is the most narrow aspect in this chart. It is the aspect of use and abuse of power, because of the intensity of his drives and energy. Mars is also square Uranus (for the short fuse). The Mars-Uranus-Pluto combination shows the drive to forcing changes and an exceptional drive to win (taking risks) here and now. In addition, the narrow Venus trine Eris symbolizes the love for discord (enjoying discord). Venus is also ‘calling’. This makes him charming and creative enough to be a beloved (Venus) scientific (Mercury Saturn) author (Mercury). With Jupiter/Pluto sesquisquare Venus he had a lot of success in society. Apply his Astro ID to what they tell us that he did, and you almost see the reason behind it. Sun opposition Jupiter tells us about success and question marks regarding this success. It is the same story as the ‘positive’ negative dope control: some people don’t get away with it. How a person with such a chart became a bullying terrorist at home is maybe visible in the Moon opposition Pluto and trine Mars (intens feelings released in using violence). But it takes an hour of birth for an analysis of the progressions and transits that lead him to where he is now (in prison). He also founded the Spiritiual Scientific Research Foundation. The ‘spirituality’ doesn’t seem obvious with this chart of the day, but the Moon could be trine Neptune, too. Moon with Neptune and Pluto mirrors the need to explore the unseen world (and is often related to addiction to drugs, medication or alcohol, too). When the sun is conjunct your sun, it is your astrological birthday. (Your birthday may be on the same day or a bit sooner or later). YOU (Sun) are in the centre of attention (Sun) on your birthday. You are starting a new cycle in life that will begin again next year. Since a few years, I noticed that when the sun is conjunct my progressed sun, I happened to be celebrating something. It uses to be a nice day. Perhaps that is the same with you? Anyway, now that I know, I do something special on my progressed birthday. Let me explain. Why not? It is a reason for celebrating life! Progressed birthday is the day that the sun is exactly conjunct your progressed sun. That is the position of your sun in secondary progression, in the progressed chart. Here is a simple way to find your progressed birthday. Say: you were born on December 1 and 21 years old, than your progressed sun has the degree of the 22nd of December and your progressed birthday is on the 22nd of December. Mine is today, at almost midnight. I calculated the chart for the exact moment. That is the moment when the sun is exactly at the same degree and minute as my progressed sun is now. It is a sort of a progressed solar return chart that immediately gives information on the transits with your progressed sun. As you may see, transit Saturn will be square my progressed sun in early November 2014. On March 24 transit Mars will trine my progressed sun again (last time was February 4). The progressed solar return chart is the chart of a mere moment in time. I doubt it there is a special meaning that will last longer than my 'progressed birth day'. The solar return chart is believed to have a meaning for the 'trend' of the year ahead. The difference between a progressed solar return chart and the solar return chart is, that your natal sun has a fixed position and the progressed sun has not. The progressed sun moves about 1 degree each year, so that the progressed solar return doesn't last as long as the solar return does. But let's see… I'll keep this chart in mind. The progressed chart is calculated for the xth day after your xth year. There is a symbolic relationship between the movement of the earth's axis and the earth's orbit around the sun. In a day and in a year you see the whole of the universe. The progressed chart (movement in one day) gives a view of the year ahead. That is (simplified) the general idea. You will see that progressed Venus has not yet reached Midheaven (a big wish to come true later). Transit Venus is on the IC (joy) now. Transit Saturn square progressed Sun describes the end of a period in life (and some limitations). Transit Jupiter was on Midheaven in September 2013 and hasn’t reached Midheaven for the second time, yet. That will be in April 2014. Today is in between these moments. For a better view, click the picture or try Astro.com and calculate these charts for July 10, 1977 at 11:50 a.m. Brisbane, Australia. In this article of November 2008 (http://astropost.blogspot.nl/2008/11/identical-patterns-in-charts-of-mlking.html ) about Sun conjunct MC without major aspects, I mentioned Schapelle Corby. "Hi Suzann, the recent conviction of a British woman doesn't give much hope. There is Jupiter transit her Midheaven between September and May 2014. That might improve her situation. It will be between May 2015 and December 2017 that transits of Uranus and Pluto on MC reflect changing conditions. I hope for her that she doesn't have to wait till then!, but in 2018 MC conjunct Progressed Venus at least gives hope for better times in future." 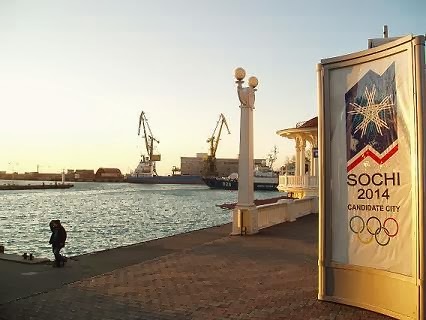 Soon there will be the kick off for the Winter Games of Sochi, 2014. It seems that the men and women who are to compete have nice accommodations but that the journalists have to deal with unfinished hotels sometimes. Never mind, the show must go on! Let's have a look at the chart of the kick off. The official starting moment of the Olympics in Sochi is Friday, February 7 at 20:14 hours local time, with Mercury square Midheaven and conjunct Neptune on the Descendant, opposition Pallas. Here is the chart for that moment with the planet of achievement, competition and fighting (Mars) without major aspects in sign or orb 5 degrees. When Mars is 'calling' there will be efforts at any possible level. The other side is that there might be aggression or attacks, too. ,The Moon in Gemini elevated and sesquisquare Venus and Pluto (rising before the Sun), hopefully intensifying the good mood. The Venus-Pluto conjunction in the 5th house of games and entertainment is still opposition Jupiter in the 11th. Perhaps the costs and the price of the games are higher than was to be expected. And here is the chart for President Putin on that specific day. These two transits of Jupiter mirror growing passion. The first transit shows a strong focus (if not obsession) to succeed and for a party. transit Saturn square Pluto is more complicated (read about the boomerang effect here: http://astromarkt.net/saturn-in-aspect-with-pluto.html ). This transit shows the danger of the nasty sides of politics. The good thing about this transit is that it has already been exact when the games start. Saturn-Pluto combinations are frequent in the charts of individual sports men and women. I very much hope for safe games with a happy ending for all involved and maybe even a good influence for the sake of Russian homosexuals and for the people of Sochi.